Our hostel is perfectly located just next to the prime shopping area, where you can find various shopping malls to suit your every need. Within just a few minutes' walk you can enjoy dinner in Chinese or Western restaurants. Alternatively, McDonalds, KFC are all local. Many 24 hour shops, bars and supermarkets are also nearby us. For just a few minutes' walk, you can catch the airport bus to and from airport or take the MTR subway (underground railway system) by which you can go to most of the interesting places and sights in Hong Kong. If you wish to take other transportations, bus stop and taxi stand are also within your walking distance. 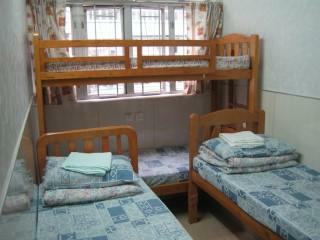 Each of our hostel's room is equipped with air-conditioning, tv set and direct telephone line. All local calls are FREE. 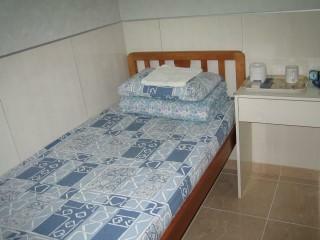 In addition, our hostel is facilitated with refrigerator and microwave oven. Visitors can use our computer for FREE(without time limit) broadband internet access, they can also enjoy our FREE(without time limit) Wi-Fi service with their notebook computers. We also provide FREE baggages storage for convenicence of visitors who are departing Hong Kong late. Our accommodation is perfect for budget travellers and backpackers. Come and share the experience of Hong Kong with us. You will really enjoy your stay!! Please be noted that we are located at Mongkok area, we do not have affiliation in other area of HONG KONG. Recommend to light luggage visitors only. 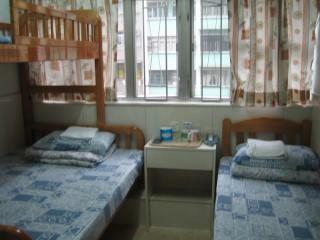 Alight at the Mongkok MTR station and then walk towards Sincere House (take only 2 mins' walk).